Dealing with any type of disabling condition is often a daily struggle to piece together a life that functions somewhat normally, and worries over finances only make things more difficult. While Social Security Disability Insurance (SSDI) cannot fix physical ailments, it can, at least, provide a measure of financial stability that should reduce the stress related to finding a means of support. Beyond money concerns, one of the harder aspects of this situation is the accompanying frustration these limitations impose, which is hard for the healthy to understand, even close family members and partners who have a vested interest in the sufferer’s wellbeing. The feelings of isolation that frequently coincide with the onset of a disability are especially present for those suffering from rare diseases. Even under the best circumstances, convincing others of the true impact of a disabling condition is tough, but for rare conditions few know exist, this hurdle is much higher. Determining how to overcome this information gap is crucial to securing SSDI benefits. Consequently, an overview of how the Social Security Administration (SSA) evaluates disability claims for rare diseases and conditions will follow below. SSDI regulations require an applicant to prove he/she is totally and permanently disabled in order to receive monthly benefits. Total and permanent disability means the person suffers from a physical or mental impairment that will prevent the person from working for at least a year or result in death. The analysis of whether an applicant meets this definition of disability starts with determining whether there is a diagnosis of a condition listed in the SSDI Listing of Impairments. The Listing of Impairments (“Listings”) lists all the disorders approved by the SSA as worthy of receiving SSDI benefits as well as the specific limitations each disorder must produce to qualify for benefits under SSA standards. The Listings are organized by disease type and the corresponding location on a person’s body. Having a diagnosis of a listed condition can make qualifying for SSDI much easier, depending on the known progressions of the disease, and some conditions only require a confirmed diagnosis to be awarded benefits. However, if a specific condition is not listed or a particular applicant does meet the listing requirements, the SSA examiner will assess whether the person’s impairments are equivalent to similar listing in severity. New conditions are added on a regular basis, and are updated on SSA’s website as necessary. As noted above, some disorders are considered so severe that a diagnosis is enough to qualify for benefits. For these individuals, the SSA has an expedited evaluation process so they can start to receive benefits sooner, in a matter of weeks instead of months or years. The Compassionate Allowances program has pre-selected conditions that automatically qualify for benefits, such as Huntington’s Disease and pancreatic cancer. These conditions were selected based on severity and the ability to quickly confirm their presence through objective medical evidence. SSA automatically screens for these conditions are part of the disability process. In addition to having a recognized disorder, the applicant needs to have a sufficient work history and not make too much money. Outside of these standard requirements, he/she will qualify for benefits. If you are unable to work because of a disability, find out if you qualify for SSDI benefits. 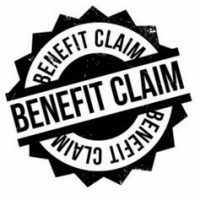 These benefits are potentially available for anyone who paid into the Social Security System, and should not be overlooked when a disabling condition is an issue. The application and approval process for these benefits is complicated and overwhelming, but an experienced disability attorney, like those at Farrell Disability Law, can help you navigate this sometimes daunting procedure. We serve clients throughout Florida and South Georgia; contact us today to learn how we can help you.